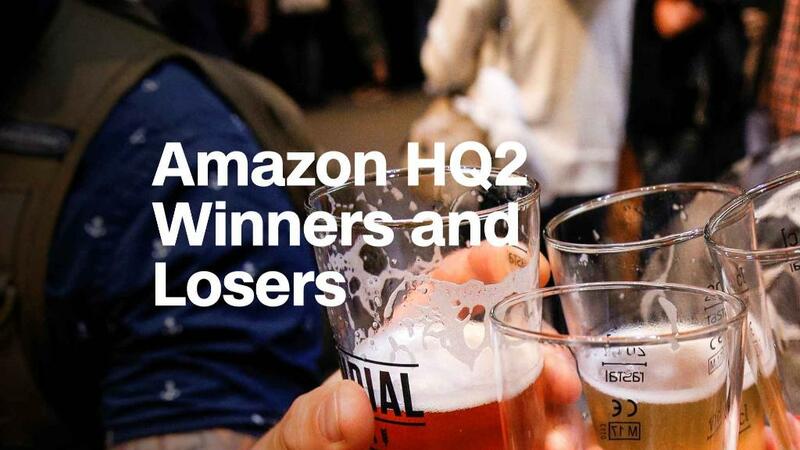 Amazon has released a "short" list of cities it's considering for its second headquarters. But the list isn't exactly short. Last year, Amazon (AMZN) received bids from 238 cities and regions from across 54 states, provinces, districts and territories across North America. The company said it would make a decision in 2018. "Getting from 238 to 20 was very tough - all the proposals showed tremendous enthusiasm and creativity," Holly Sullivan of Amazon Public Policy said in a statement. "Through this process we learned about many new communities across North America that we will consider as locations for future infrastructure investment and job creation." Amazon said Thursday that it evaluated each of the bids based on the criteria it previously outlined, such as proximity to a major airport, ability to attract tech talent and a suburban or urban area with more than 1 million people. In the coming months, the company said, it will work with each of the locations to "dive deeper" into their proposals, obtain more information and evaluate how the city could accommodate Amazon's hiring plans and benefit its workers and the local community. Colin Sebastian, an analyst at investment bank Baird, said he is surprised that cities without major airport hubs -- such as Columbus and Nashville -- are on the list, considering that was one of Amazon's main asks. "Otherwise, there are not too many surprises here," he told CNN Tech. "However, I'm a bit surprised Houston, Detroit and Minneapolis are not on the list. Their proposals may have simply fallen short." Some cities which were considered top contenders made the list. Atlanta was the number one pick of gambling site Paddy Power and Sperling's BestPlaces. Moody's listed Atlanta second behind Austin, Texas. Experts say Atlanta's cost of living, talent pool and access to the world's busiest airport make it an attractive option. But one major downside is traffic congestion. Austin, which is also home to Amazon-owned Whole Foods, is also a solid contender. The city already has a booming tech sector and giants like Apple, Google, Facebook and Microsoft have offices there. Meanwhile, there are 425,000 college students in the region, according to the Austin Chamber of Commerce, which would give Amazon a strong base for recruiting new employees. Three locations in the Washington D.C. metro area made the list. Real estate group CBRE previously ranked Washington D.C. among the top five cities in the U.S. with tech talent. In addition, an Amazon headquarters near the federal government could give it a chance to build better connection with national leaders. Most cities have stayed quiet about the tax breaks they're offering, but Newark and the state of New Jersey are collectively offering tax incentives of up to $7 billion. Los Angeles was the only West Coast city that made the list. Considering Amazon's headquarters is located not too far away in Seattle, the move to focus elsewhere was expected. Some cities that didn't make the cut made splashy attempts to attract the company's attention. Tucson, Arizona sent a giant cactus to Amazon CEO Jeff Bezos, and Kansas City Mayor Sly James gave five-star reviews to 1,000 random items on Amazon's website -- tying the city's strengths into each post. Stonecrest, Georgia, which offered to de-annex some of its land and rename it the city of Amazon, is still in the running as part of Atlanta's efforts. Amazon has said the second headquarters would be a "full equal" to its Seattle campus. The tech giant estimates its investments in Seattle from 2010 through 2016 resulted in an extra $38 billion to the city's economy.